WTII Records is an independent record label that was formed in 2001 by former WaxTrax! refugee, Bart Pfanenstiel and long time friend David Schock. Formation The concept behind WTII actually started in 1999 while Bart was still employed at Wax Trax! During that labels final year, Bart and Dannie Flesher (co-founder of Wax Trax!) 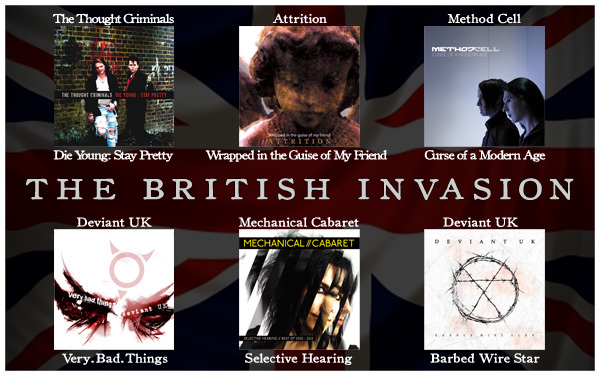 had worked hard to move the label into the modern era of electro/industrial music by tapping into the new breed of bands making there way to the states from Europe. One of these connections was the signing of VNV Nation to Wax Trax! With these new connections in place, the timing seemed right to create a new outlet for these artists to release their material and to try to rekindle the spirit of Wax Trax!â€™s early years. With a strong knowledge of the label side of things, Bart enlisted the help of Dave to help get things rolling. Dave had spent several years at a small independent music distributor and had built strong relationships with several key mom-n-pop and chain stores across the country. With the groundwork in place, the two quickly licensed three artists: In Strict Confidence, Controlled Fusion and Melotron. On January 1st 2001 WTII Records, LLC. was born. Label Overview Over the years the label roster has continued to grow with a plethora of artists that vary in sound and style. 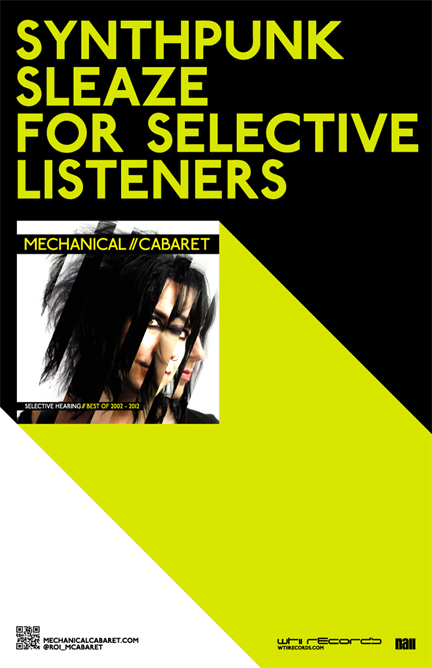 With releases from artists like Stromkern, Klutae, Beborn Beton, Method Cell, Stiff Valentine, The Qualia, The Gothsicles, Dessau, Attrition, Trigger 10d, State of the Union, In Strict Confidence, HMB and cut.rate.box, WTII has been pushing the electronic spectrum to new limits. WTIIâ€™s artistâ€™s have completed several US tours as both a headliner and support act, performed at numerous festivals and played hundreds of one offs across the globe. Their music can be heard on MTV's Made, MTV's My Super Sweet 16, MTV's Trailer Fabulous, A&E's Biography, SpikeTVâ€™s Death Guild, Vh1â€™s Driven and in numerous shows on the Discovery Channel and TBS. In 2006, to celebrate the label's 5th Anniversary, WTII released a promotional compilation entitled "The 5 Year Hits" also known as the "WTII 5th Anniversary Compilation." The album was compiled by Chicago DJ Jeff Moyer and Bart Pfanenstiel, mixed by Moyer, engineered by Chicago DJ Pulz-8, mastered by Chris Randall of Sister Machine Gun and featured tracks by nearly the entire 2006 roster. In 2011 the label celebrated its 10th Anniversary with a 4 day festival in Chicago which featured performances from WTII artists Trigger 10d, Am.Psych, Rein[Forced], The Gothsicles, Stiff Valentine, Dead on TV, Stromkern among other local and national acts. Distribution The label is distributed by Nail Distribution a Division of the Allegro Media Group in North America and Audioglobe in Europe. WTII 001 In Strict Confidence Love Kills! WTII 045 The Qualia Nevada's Greatest!